Want the perfect holiday dessert? 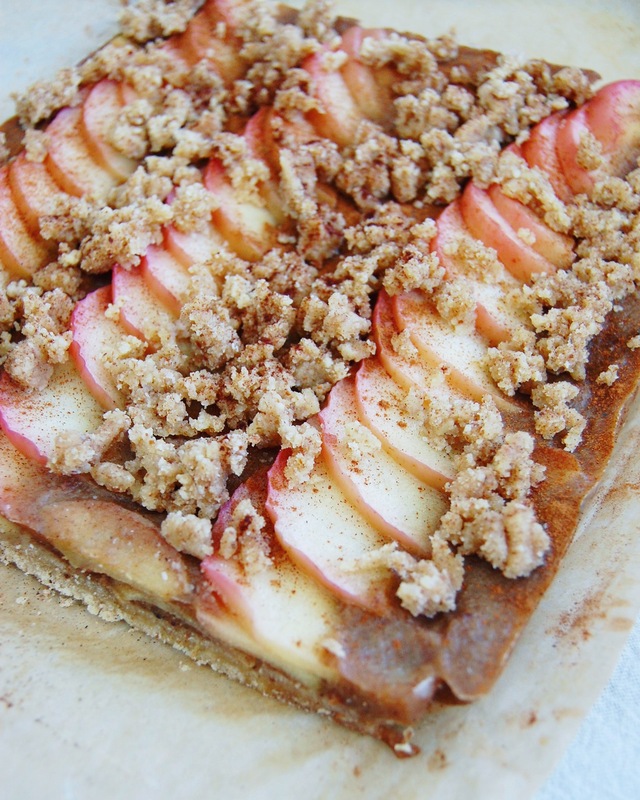 Try this Paleo Apple Crumble Recipe ! The holidays are upon us and I had to share this delicious Paleo Apple Crumble Recipe that I made for Thanksgiving. I knew what I wanted these to be, but wasn’t sure how they were going to turn out and luckily, they were bomb! They are total paleo dessert perfection. 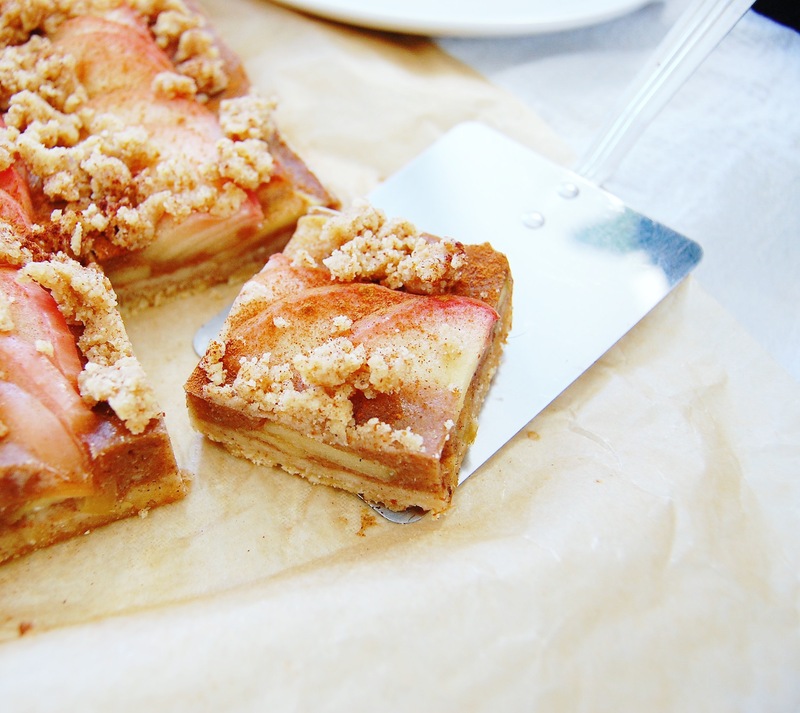 They have everything that you would want in an apple crumble. A buttery crust with a sweet and flavorful center and the most delicious crumble topping that has ever graced your lips! I had a super fun time making art with the apple slices, but you don’t have to do that unless you’re feeling super fancy! These photos do not do these babies justice because they were super gorgeous in person and we were all drooling! 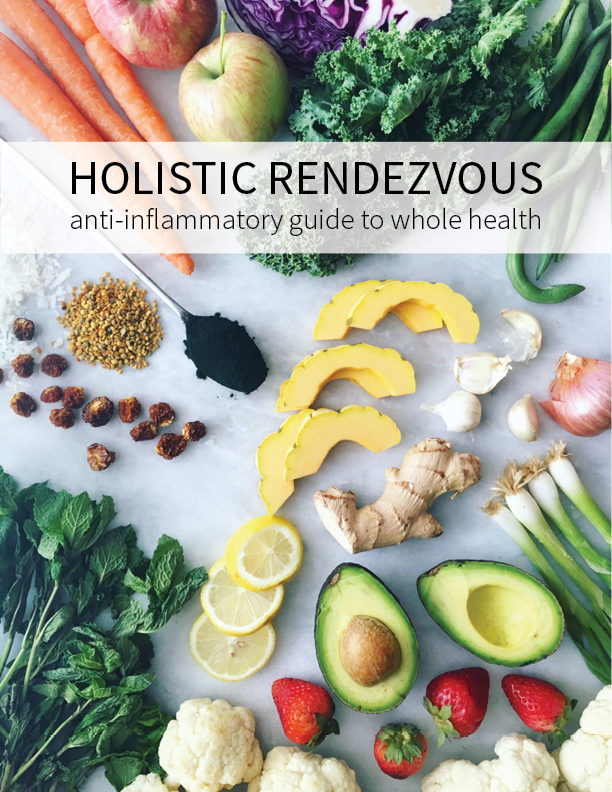 I used some of my favorite brands in this recipe which you can purchase through thrive market or amazon! Mix all crust ingredients together, then set aside ¼ cup of it. Press into a 10X10 pan and bake for 10 minutes. While the crust is baking, heat water and applesauce together until it is almost boiling. While waiting for the water mixture to heat, chop ½ of an apple into thin 1 inch slices, and sauté with ginger in a little ghee. Once the water mixture is ready, stir in collagen, spices, and apples. Once the crust is done, pour the filling mixture onto it. Place the apples onto the top of the filling. Next, sprinkle with the leftover crust mixture. You may want to add more ghee to make it stickier. Finally, sprinkle with cinnamon and place in the fridge to set! Share this with your friends who are looking for a paleo apple recipe and they will not be disappointed!